Today I have a re-post for you. I shared this idea last St. Patrick's Day, and I love it so much that I thought is was worth sharing again. I recently adopted several boxes of craft items from my cute neighbor, Millie. Inside one of the boxes was a pack of Crayola crayons (96 crayons!). There's nothing like a brand new box of crayons! The box reminded me of a cute idea I borrowed from someone when I was teaching. We made a color journal to add better details to our writing. The journal had a base color at the top of each page, and then as many shades as we could come up with underneath, with corresponding names. Have you ever read the labels on your Crayola crayons? They have the most clever names! The idea of the journal was to help my students use better descriptive color words in their writing. They learned to use words like granny smith apple, inch worm, or tropical rain forest instead of just green. 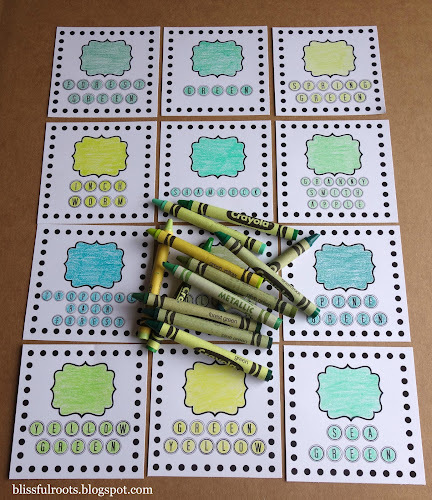 With St. Patrick's Day just around the corner, I thought it would be fun to make a green color wall for my boys (I used picmonkey to make my shades of green pages). I need to do it with every color, but green is a great place to start. In my box of 96 crayons, 14 of them were a shade of green. For some reason, I didn't get a picture of jungle green and sheen green. Aren't these names fun? Maybe I'm a bit crazy, but I LOVE it! Oh, and I just remembered Crayola's website has the perfect link for this. Click here to see all their shades of green (and every other color). 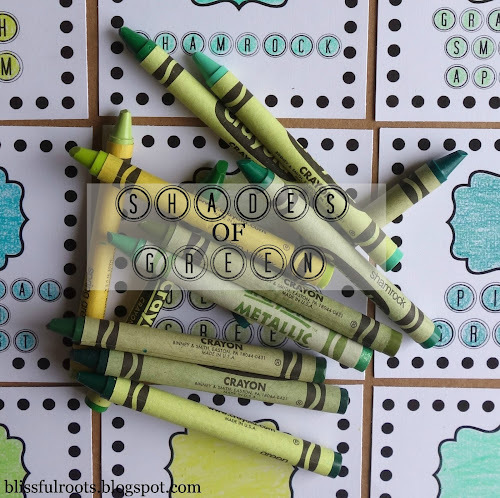 They have 49 shades of green with names like asparagus, bottle green, iguana green... think of all the fun you and your kids could have with these. 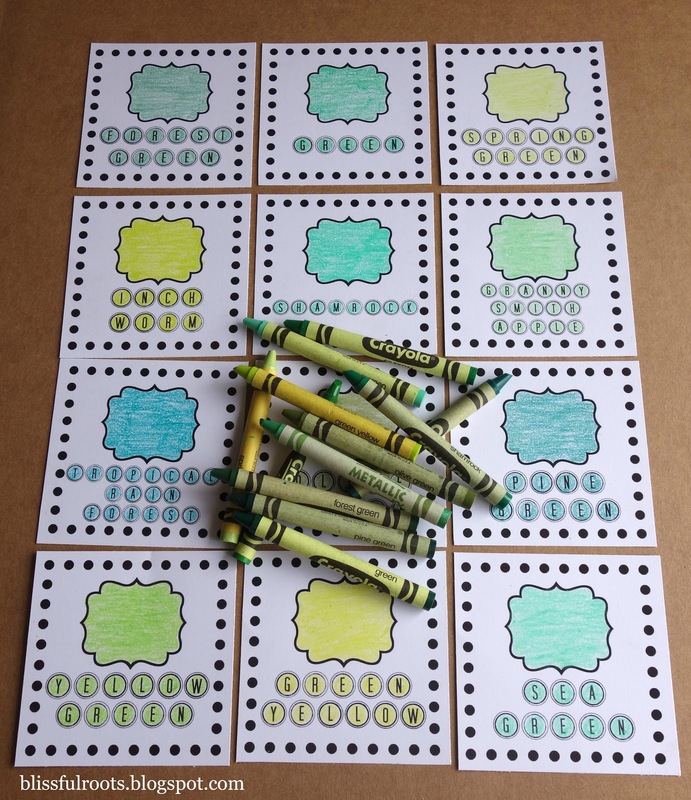 Use these colors for art projects, sorting, matching, details, there are so many possibilities!